Man on bicycle jumping over boy on beach during the 1906 Ormond-Daytona races in Florida. - Bicivilizados. Ciclismo urbano. Alegría entre tus piernas. Man on bicycle jumping over boy on beach during the 1906 Ormond-Daytona races in Florida. 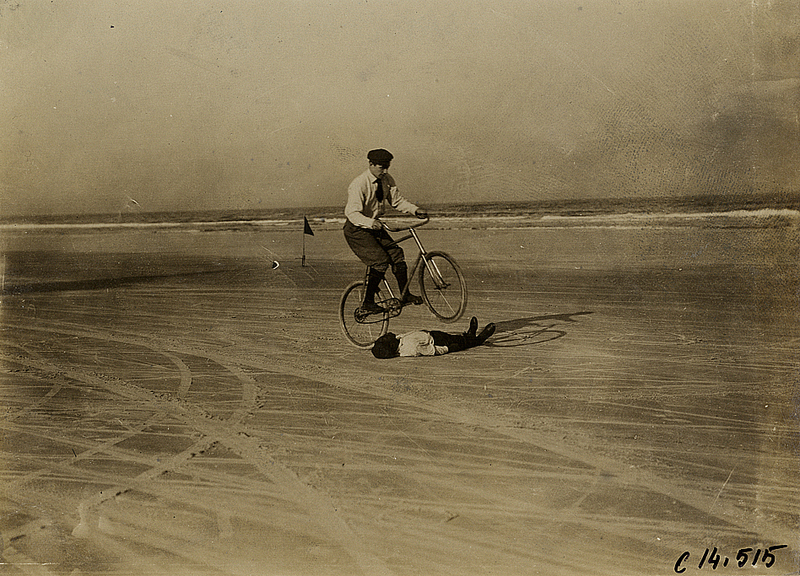 Home / fotografía / Man on bicycle jumping over boy on beach during the 1906 Ormond-Daytona races in Florida.